We’d love your help. Let us know what’s wrong with this preview of Capote by Gerald Clarke. To ask other readers questions about Capote, please sign up. Usually biographies begin with the more dutiful, laboured and frankly tiresome parts – the family background, the growing up, the education, the roots and the shoots, great author as 10 year old, etc. I always want to get past all that to the start of the action. Capote is a complete exception. The family circumstances, the growing up, the odd microscopically small place that TC grew up in, (which also produced another great novelist, how strange can you get, Harper Lee), the Southern gothic tra Usually biographies begin with the more dutiful, laboured and frankly tiresome parts – the family background, the growing up, the education, the roots and the shoots, great author as 10 year old, etc. I always want to get past all that to the start of the action. Capote is a complete exception. The family circumstances, the growing up, the odd microscopically small place that TC grew up in, (which also produced another great novelist, how strange can you get, Harper Lee), the Southern gothic trappings, the lurid characters, the borderline crazy constantly-abandoning parents, and of course being gay but not just gay, being outrageously effeminately screaming-queen-style gay in Alabama in the 1930s and 40s, and never quite growing up, so that he looked eleven when he was 20, and being only 5 feet three, what a story. Gerald Clarke tells it beautifully. Far and away, that’s the best part of the book. How TC became famous was that he mooched into the New Yorker and tried to get a job and did but got fired then mooched into Harper’s Bazaar, a ladies’ fashion magazine which happened also to publish a lot of top short fiction, and got a little menial job there, then pushed a couple of his short stories at them, which they read from kindness, and then fell of their chairs, and published them. In those days, the late 40s and 50s, short stories were big. We see this when Shirley Jackson wrote "The Lottery" (1948) – it was a major event across America – very hard to believe now, who the hell reads short stories now? So the same thing happened with a story called "Miriam" by TC (1945) – it’s brilliant and he was 20 years old. It was a smash hit. After that he knocked out more short stories and got busy with his first novel and started on his second, and arguably more important career, which was charming and smarming everyone who was anyone in Manhattan. The major romance between Truman and rich people was underway. It was totally requited. Turns out that New York society was just waiting for a tiny Southern gay wunderkind to smother with their collective bosoms. TC was the boylita of the late 1940s. TC’s real genius was in socialising. That part is the least fun you can have with this biography. The endless merrygoround of chichi restaurants, ermine-covered yachts, vomitous parties, lots of little dogs, wonderful times in exotic jettery settery places throughout the planet can make the sensitive reader turn several shades of green, which may be caused by envy or bilious reaction. Number of pages of one single novel by Mailer, Harlot’s Ghost : 1170. If we throw in all of TC’s journalism, that’s another 500 pages. Mailer could churn out that much in a couple of months. Few giant literary reps have been erected on such slender volumes as Truman’s. TC : We would drive out to some lonely ranch or farmhouse to interview the people and almost invariably they had a television set on. They seemed to keep it on twenty-four hours a day. They would sit there talking – and never look at us! They would go on looking straight at the TV screen, even if there was just a station break or an advertisement. If the television wasn’t on, if the light wasn’t flickering, they began to get the shakes. I guess television has become an extension of people’s nervous systems. If ever anything demonstrated Truman’s greatness, the Kansas experience was it. How this effete, precious writer of lapidary prose and frothy concoctions saw a few columns about the slaughter of a family in the mid-west and thought – that’s my next book right there. And how when he went there he took with him Harper Lee. And how the people of Holcombe, Kansas perceived him as a freakish, dwarfish New Yorker who had come to leech off their misery, and how after weeks of meeting and talking and driving and not quitting Truman won all their hearts and in his words practically became the mayor of Holcombe. TC : Will Hickock and Smith live to a ripe and happy old age? Or will they swing and make a lot of other folks very happy indeed? For the answer to these and other suspenseful questions tune in tomorrow to your favorite radio program Western Justice, sponsored by the Slow Motion Molasses Company, a Kansas product. Clarke: His entire future awaited their walk to the Big Swing. In Cold Blood was a book which inspired three entirely separate films, the one with the same name plus Capote plus Infamous. There's not one word about the persistent rumour that TC had a hand in the writing of To Kill a Mockingbird. You might think Mr Clarke would address this curious part of the TC legend, but no, not a word. This is an understandable canard by the way – Harper Lee came out of nowhere and wrote America’s favourite novel and went back to nowhere and the only thing anyone knew about her was that she co-incidentally came from the same tiny tiny town and was a friend of TC who was a brilliant author. And she never wrote anything else. It turns out that TC had nothing to do with TKAM but of course Harper Lee had a whole basketful to do with the creation of In Cold Blood. ICB was a huge success. TC got very rich and even more famous because six people died horribly. Well, I guess every journalist makes a living off other people dying. ICB is a great book and an original one too. No one had thought that crime deserved the attention of the literate world before. Crime was previously just for fun, like Miss Marples. ICB was not fun. Also what happened after Kansas was a long slow and then quick slide into oblivion. He never published anything substantial again. 18 years of footling around. In 1967 he announced he was witing a dark comedy about high society called Answered Prayers (there are more tears shed about answered prayers than unanswered ones) and he received $25 grand advance from the publishers and $350 grand from 20th Century Fox for the picture rights without anyone seeing a line of it. And no one did see a line of it for many many years. In 1969 Random House gave him a $750,000 advance against his next three books, which he didn’t write. His private life was a series of inappropriate dumpy boring middle aged boyfriends who none of his many glamorous friends could figure out or make conversation with. He became a full time drunk and pillhead. The last 100 pages of this book are a torture to read. Old man Capote smokes his peyote. One little whiff and he’s right back in Tiffany’s. Actually peyote was one drug he didn't try. So, there are stories about wanting to hire heavies to break his ex-boyfriend’s legs, or about threatening to sue an ex-boyfriend to get the capped teeth back TC had paid for (They’re my teeth and I want them! I want to string them on a necklace round my neck!). Stories about TC bragging so much about the physical qualities of his latest boyfriend that when the said guy conked out at a party another guest went into the room where he was sprawled and unzipped him and took a look – “It’s pretty good – TC wasn’t exaggerating!”. Endless hospitalisations, endless brouhahas. TC incoherent on a tv chat show. TC falling down in public. TC crashing cars. TC dead. Truman Capote died at age 59 in 1984; this 1988 biography by TIME writer Gerald Clarke, despite a welter of Capote books concurrent with the two similar biopic movies a dozen years ago, and continuing interest in the "Tiny Terror," this still is the best general-interest bio (IMO). Clarke set himself the unenviable task of covering all of Capote's life, but he performs marvelously. Rarely have I read a general-interest literary biography that discusses any author, his demons, his sexuality, and Truman Capote died at age 59 in 1984; this 1988 biography by TIME writer Gerald Clarke, despite a welter of Capote books concurrent with the two similar biopic movies a dozen years ago, and continuing interest in the "Tiny Terror," this still is the best general-interest bio (IMO). Clarke set himself the unenviable task of covering all of Capote's life, but he performs marvelously. Rarely have I read a general-interest literary biography that discusses any author, his demons, his sexuality, and his works with equal aplomb. It's also illustrated: here's where, among other people, you can see Truman Mambo-ing with Marilyn Monroe in 1955, and from that same era the placid Herbert Clutter family of IN COLD BLOOD posing before the Christmas tree, not knowing what awaited them. It took me a hellishly long time to read this book. Of course, I was reading it in conjunction with a read of Capote's works at the same time. So, I would read a novel, or a few short stories, and I would take back up with Clarke's biography. But that's rather an excuse. Because Capote's life is often not a pleasant subject--not from childhood up to his last days, lost in a fog of Vodka and drugs. And I've taken a hellishly long time to absorb what I've read and decide what to say about this book. For my life and Capote's life have shared certain intersections, though we certainly never met. The closest I came to meeting Capote was meeting his father Arch Persons. I was six years old. Yes, Capote's father lived in Tuscaloosa, Alabama for some time. Older goodreads members may remember a time when penny scales were in front of seemingly every business. Persons had those scales in our town. A friend told me he also raised Pekingese puppies. In fact, Persons gave his family one. But my friend's dad was a County official. My grandmother and I had been to the A&P. That used to be a grocery store chain. Do any exist anymore? As we drove toward the traffic light, Persons backed into us. "My dear lady, let me give you my card. Why there's no need to call the police. I'll be glad to take care of the damage. Clearly I was careless." My grandfather was rather perplexed that my grandmother had not called the police. He grew more perplexed when there was no answer at the telephone number and the address turned out to be an empty lot. It took the District Attorney indicting Arch Persons for leaving the scene of an accident to achieve receiving restitution in the case. Years later as an Assistant District Attorney, I went to the file storage on the unfinished seventh floor of our courthouse. I kept that file with me until I retired from that office after twenty-eight years of service. It was a literary curiosity having Capote's file in my cabinet. I began my career in juvenile court. It was the prevailing thought that you started a green lawyer in "Juvie" where the least harm could be done and seen. After all, what happens in "Juvie" stays in "Juvie." It's confidential. My work in juvenile court put me on the trail of child advocacy. The consequences of what happened in juvenile court were not lost on me. As I rose through the ranks at the DA's office I had the ability to assign senior lawyers to that Court which remains the policy of the office I loved so much. So, it was my work, that frequently made me wince as I read of Capote's childhood. Persons was a con and a grifter. His mother Lillie Mae Faulk was charmed by Persons. Truman was their only child. Persons traveled frequently attempting to hatch get rich schemes. On the road, staying in hotel after hotel, Persons and his mother would leave young Truman locked in their room while they hit the night life of whatever location they happened to be in. They told hotel staff not to let Truman out, even if he screamed. And he did scream. Persons knew Lillie had men on the side. He didn't seem to object. He stopped counting at 29 affairs. Of course, a tryst with Jack Dempsey might have led to a great promotional event, so maybe he didn't count that one. Lillie moved North to attend business school. She took Truman with her. Persons continued rambling around the country to grub money however he could. Persons was shocked when Lillie announced she wanted a divorce. She had met Cuban business man Joe Capote. The child they so willingly left locked alone in strange hotel rooms became the center of a fiercely fought custody suit. The unwanted child was the prize in a contest neither wanted to lose. But Persons did lose. Having won custody, Lillie preferred spending her time with her new person rather than Truman. It was convenient that the Faulk clan was available to take Truman in back in Monroeville, Alabama. His time there was most likely the most stable period in his life. Of course we know of his beloved Cousin Sook. And, yes, she called him Buddy. Periodically Lillie would return to Monroeville and take Truman back to New York. He was a disappointment to her. He was a sissy. She told him so. And, back in Monroeville, Arch would promise to pick up Truman and take him to the beach down at Gulf Shores. Truman would have his bag packed with a new bathing suit. Arch never showed. Joe Capote adopted Truman. It should come as no surprise that he would write his real father and tell him that he should address him as Truman Capote henceforth. Sensing that Capote was a sissy, Lillie, who had now changed her name to Nina, decided military school was just what Truman needed. And it was there that Truman experienced his first homosexual activities, euphemistically known as belly rubbing. The Faulks lived next to the Lees. Amasa was a lawyer. Younger daughter Nelle Harper was Truman's best friend. And their friendship lasted until Harper Lee won a Pulitzer and Capote did not. Harper Lee was of immense help in gaining entry into the homes of the residents of Garden City, Kansas, as no one knew what to make of Truman. Her work on "In Cold Blood" in my opinion should have granted her co-author status. But we will never know why that did not occur. Nor does Clarke explain why Harper Lee disappears from the pages of Capote's biography. As he matured, Truman seemed to choose lovers most likely to promote his career as a writer. Most influential was Newton Arvin who mentored Truman and provided him with a formal literary education. It was Newton who promoted Capote to Random House. However, Newton's relationship with Capote was very controlled. Capote scheduled his visits with Newton as Newton allowed. Arvin did his best to hide his sexuality. Clarke's biography is a fine work, emphasizing the significance of each of his works. He charts Capote's rise to success and his climb through the social circles of New York and Europe. And he charts Capote's decline with equal objectivity. After a long relationship with fellow writer Jack Dunphy, Capote became increasingly addicted to pills and alcohol. He entered into sexual relationships with partners his social circle saw as inferior to them. The final years were spent in repeated attempts at rehabilitation and repeated hospitalizations. Capote was emphatically told he would die if he continued to drink. He drank, essentially ostracized by all his friends because of his betrayal of them in segments of his unfinished novel "Answered Prayers." I have pondered whether Capote committed a long, slow suicide in the only manner he could face. A very well written biography of an enigmatic figure. His orbit touched many others in the art in his time. His life was sad but also intriguing. His relationships with men, and as interestingly the women who found something they couldn't quite define in him, are well worth the read. To be an artist is to be outside the bell curve and, as I often say when I present at writers conferences, that doesn't mean you're on the "good" side of that curve. Addiction is a danger for the creative. As is the A very well written biography of an enigmatic figure. His orbit touched many others in the art in his time. His life was sad but also intriguing. To be an artist is to be outside the bell curve and, as I often say when I present at writers conferences, that doesn't mean you're on the "good" side of that curve. Addiction is a danger for the creative. As is the influence of others and our own influence on them. A very well written and extensive biography of the celebrated American author. Truman Capote was a very gregarious person and was always the life of any gathering or party (except towards the end of his life). When he traveled (whether to New York or Europe) it was not to take in museums or sites, but to meet the inhabitants – particularly if they were famous, wealthy and/or notorious. As Mr. Clarke points out Truman Capote had a neglected upbringing – he was abandoned by both his parents and to A very well written and extensive biography of the celebrated American author. Truman Capote was a very gregarious person and was always the life of any gathering or party (except towards the end of his life). When he traveled (whether to New York or Europe) it was not to take in museums or sites, but to meet the inhabitants – particularly if they were famous, wealthy and/or notorious. 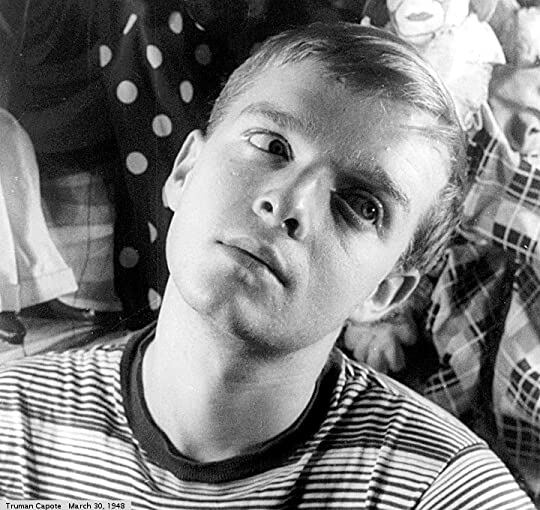 As Mr. Clarke points out Truman Capote had a neglected upbringing – he was abandoned by both his parents and to some extent this could account for his later undoing. At a young age he was pre-determined to be a writer. Due to Truman Capote’s ebullient personality the book makes for an interesting read as we encounter the wide range of individuals who accompanied Truman throughout his life. He did favour the rich and famous and to some extent this makes for some redundancy in the book. It would also seem that these rich and famous were also lonely and latched onto Truman Capote in their quest for real friendship or maybe he just provided admirable entertainment. Capote did exude warmth and laughter and liked to gossip - so no secrets should have been confided to him, but he was expert at extracting all these hidden parts of their lives (Marlon Brando threatened to kill him after one such session was published). But these relationships took a toll on Capote and that toll was his writing output. He wrote several short stories and a few novelettes. His only major and lengthy book was ‘In Cold Blood’ which is not a novel, but a significant work nonetheless. Therefore I feel that Truman Capote – compared to Ernest Hemingway or John Steinbeck – is not the most important American novelist of the last century. Truman Capote was also predisposed to inflate his own greatness, comparing himself to the French writer Marcel Proust – whose literary output far exceeds that of Capote. After reading this biography I consider Truman Capote a second rate writer. He also branched into play-writing, scripts for films and acting – none of these of any lasting significance. His career is a reflection of the American century. The author does focus on his literary works and the obsession of ‘In Cold Blood’. To quote from Nietzsche - ‘if you gaze for long into an abyss, the abyss gazes also into you’. This is what happened to Truman after his great investigation of the gruesome murders of the Clutter family. His literary art reached the pinnacle but after publication there was a long slow decline leaving him, at the end of his life, a drunken, pill-popping maniac. On the subject of ‘In Cold Blood’ I seem to remember reading elsewhere that Truman Capote played down Herb Clutter’s domineering personality in order to sustain a sympathetic portrayal of the family. Also there were two older sisters – who I believe inherited by default the estate – I can no longer remember if this was recounted in the book. The end of Truman’s life from the 1970 to 1984 is a dreadful tale and makes for painful reading – considering all of his potential. He could have been criminally convicted on a few occasions, as he was actually hiring detectives to murder his on again – off again partner John O’Shea. Such is the demise of a once celebrated figure. All in all a wonderful biography. Not surprisingly, Truman Capote knew hundreds of famous people. And Gerald Clarke introduces every single one of them with a mini-bio of his or her own. Unfortunately, Clarke doesn't use Capote's groundbreaking "nonfiction novel" technique in this biography. It often reads like a textbook, the chronology gets all out of whack and it never feels like a narrative. Granted, he had an astounding amount of material to work with, including years of interviews with Capote and those closest to him. I have Not surprisingly, Truman Capote knew hundreds of famous people. Granted, he had an astounding amount of material to work with, including years of interviews with Capote and those closest to him. I have no doubt this is about as comprehensive it can be. But honestly, it was just exhausting. Easily one of the best biographies that I have to ever read. I have to say Geralde Clarke did wonderful job on this book. This is a lengthy book but not omce did I ever lost interest or felt even a tiny amount of boredom. Style of writing is marvellous . Complex psychology of Truman has been laid out easily in this book. His Ascend as well as descend of his career is well depicted in this book. This massive and comprehensive biography of Truman Capote was captivating. As a firm believer tat most biographies are enjoyable if one is a fan of the subject’s work, this book did no disappoint. Clarks’s intimate and detailed portrayal of Capote was certainly unbiased. Clarke held the mirror clearly for all to see Truman Capote’s genius, flaws, foibles, and his even darker side with narcissism, control, alcohol, and abuse. That Truman Capote came from a textbook example of a dysfunctional fami This massive and comprehensive biography of Truman Capote was captivating. As a firm believer tat most biographies are enjoyable if one is a fan of the subject’s work, this book did no disappoint. Clarks’s intimate and detailed portrayal of Capote was certainly unbiased. Clarke held the mirror clearly for all to see Truman Capote’s genius, flaws, foibles, and his even darker side with narcissism, control, alcohol, and abuse. That Truman Capote came from a textbook example of a dysfunctional family is an understatement. Abandoned by his parents at an early age and left in the care of his eccentric relatives in Alabama, there he met and became childhood friends with Nell Harper Lee. 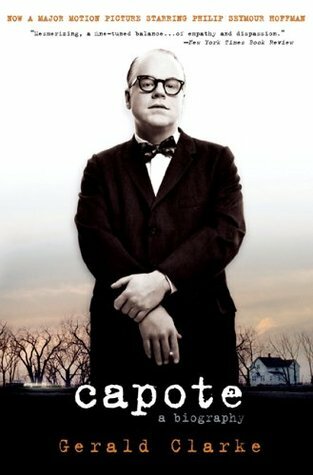 In fact, Capote would later serve as the model for Bob Radley in Lee’s award-winning book, To Kill a Mockingbird. As Truman got older and began pursuing a career in writing – as well as a slew of homosexual lovers in a day and age when homosexuality was taboo – Capote began making quite a name for himself and, in a way, a flamboyant and larger than life character. The pinnacle of his success was with the writing of In Cold Blood, a book which arguably created the creative nonfiction genre, if not eh “nonfiction novel,” as Capote called it. Although In Cold Blood marked the high point of hi career, it also signaled the beginning of a long and slow decent in his work and life. Truman’s abuse of drugs and alcohol because more and more profound, and with the publication of “Le Côte Basque” a chapter from Unanswered Prayers, his last book that would remain unfinished, Capote managed to alienate himself from the vast majority of his longtime friends when he divulged their personal secrets and aired their dirty laundry in such a way that left little doubt who he was writing about. Ironically, Capote said that he couldn’t complete In Cold Blood until the drama of the situation ended. These were Clarke’s sentiments as he explained why it took him so long to complete this biography: he couldn’t finish Capote’s life story until it ended and, unfortunately, his life ended tragically. This book broke my heart. The man had so much brilliance and too many "red devils." His rise and fall seems so much like that of his mother Nina (on which the character Holly Golightly was partially based and with whom he had a love/hate relationship). Once he became well known in the 40s (more for who he was and what was anticipated he would do), he spent his recreational time social climbing until he had reached the top of the strata. Like his mother, he had his face pressed against the window This book broke my heart. The man had so much brilliance and too many "red devils." Like his mother, he had his face pressed against the window to another, better world. But once he got there, that world was largely unsatisfying. Like Nina, he took his own life in the end. She did it quickly. He did it slowly through a continual abuse of drugs and alcohol. He spent his life conflicted. He was unwanted as a child. As an adult he tried too hard to please those who didn't want him. He was obviously different, so he became uber-flamboyant and "out there." Yet he was fascinated with the regular or mediocre (as he noted, he preferred his lovers to be stupid). And ultimately, he'd realize that the lovely swans of his social circle weren't that much better than the rest of society. With some degree of disdain and dreams of matching wits with Proust (ala "Rememberance of Things Past") which was when he wrote the scandalous article that turned the swans against him. Once they rejected him for his betrayal, he realize he was cut adrift. His moorings were gone. And after the emotional and physical toll that writing "In Cold Blood" took, he didn't have the strength to rebound. Hence a fast slide into drugs, alcohol, bad relationships, and a wasted last 15 years. I loved the first half of the book, but the last half was so hard to read. It was like losing a friend. It is very difficult to criticize any biography of Truman Capote. The man was a first class character and an excellent writer who managed to shape our literary culture in ways we are still talking about. Any biography written about him has to be interesting. It was a good read. There were a few problems I had with the book, but I think I can attribute that to my own pickiness rather than the author's lack of knowledge or research. My complaints are mostly technical. I consider it a poor editor wh It is very difficult to criticize any biography of Truman Capote. The man was a first class character and an excellent writer who managed to shape our literary culture in ways we are still talking about. Any biography written about him has to be interesting. It was a good read. There were a few problems I had with the book, but I think I can attribute that to my own pickiness rather than the author's lack of knowledge or research. My complaints are mostly technical. I consider it a poor editor who doesn't know the difference between "there", "their" and "they're." Perhaps that is because of the software. Computers see the word spelled correctly, but will not recognize the context. My other technical beef is - if you see someone every other week, you are not seeing them biweekly. You are seeing them bimonthly. If you were seeing them biweekly you would be seeing them twice a week. This, unfortunately, is a mistake I find even in universities and college campuses. If this mistake can appear in our institutions of higher learning, is it really surprising that it would show up in a book? Meh. I consider writing a book Formal Writing, but I think I am becoming the minority in that. Where Mr Clarke really shined, however, was in his absolutely perfect summaries of the various stories Mr Capote wrote. I also loved the way he made the life scenes surrounding the stories so real and solid, you could imagine yourself there. Mr Clark is definitely a first rate story teller, but he had an awesome story to tell. This is a great, engagingly written biography of a fascinating author and person. I do, however, wish I'd read all of Capote's works before reading this. Clarke gives away far too many spoilers for my taste. In the telling of the writing of many of Capote's works, Gerald Clarke gives away just about everything there is regarding plots, and even the endings. If you've already read everything you intend to read by Capote, I highly recommend this biography. Capote lead an incredible - though not en This is a great, engagingly written biography of a fascinating author and person. I do, however, wish I'd read all of Capote's works before reading this. Clarke gives away far too many spoilers for my taste. In the telling of the writing of many of Capote's works, Gerald Clarke gives away just about everything there is regarding plots, and even the endings. The plushness of the details in this book rival one of Truman's velvet suits. I feel like I was a fly on the wall of his incredibly dramatic life. I rocket soared with him to the top of literary fame and glory and felt such sadness and frustration that his later years sank into such addiction and dysfunction. Very well written. The only downside: All those details created a very heavy book, but that I can happily deal with. Currently, this is the best biography written about Capote. Could not put it down. I wish Gerald Clarke wrote a million biographies. I would read every one of them and be so smart. haha. Really, I would read about anyone he chose to write about, whether or not I had initial interest in that figure. His work is that engaging. 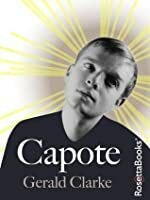 After reading this biography, I have the strong feeling that Capote was a genius, but almost impossible to know as a friend. Lots of detail. Particularly intense when covering the In Cold Blood years. Impossibly sad during the decline and fall. No he leído muchas biografías, pero sí que he leído muchas biografías de Franz Kafka. Por esto puedo decir que esta biografía de Truman Capote es correcta, pero se queda a años luz de ser calificada de brillante. Quizás es porque tengo idealizada la biografía de Kafka de Reiner Stach, pero yo quiero que una biografía esté contada como si fuera una novela y que no se limite a contarnos los hechos, sino que también los analice, que se intente meter de verdad en la piel del biografiado para compren No he leído muchas biografías, pero sí que he leído muchas biografías de Franz Kafka. Por esto puedo decir que esta biografía de Truman Capote es correcta, pero se queda a años luz de ser calificada de brillante. Quizás es porque tengo idealizada la biografía de Kafka de Reiner Stach, pero yo quiero que una biografía esté contada como si fuera una novela y que no se limite a contarnos los hechos, sino que también los analice, que se intente meter de verdad en la piel del biografiado para comprenderlo. Nada de esto pasa ni por asomo en 'Truman Capote', que la mayoría de veces parece una crónica de toda la gente superfamosa de la muerte que conoció Capote y un recopilatorio de anécdotas para contar en superpijas veladas de la muerte. Todo demasiado espumoso y demasiado superficial. Estará perfectamente documentada (eso no lo negará nadie), pero hay muchos cabos sueltos y muchos agujeros. Por ejemplo, se pasa de puntillas sobre el carácter del también escritor Jack Dunphy, que queda totalmente difuminado, y ni se preocupa en intentarnos explicar los mecanismos de la relación que éste mantuvo con Truman, durante más de 30 años que se dice pronto. Por no hablar de la relación que mantuvo con su última pareja, John O'Shea, un banquero irlandés de lo más violento. Aunque quizás esta última vez sea porque la relación era incomprensible mirase por donde se mirase. De verdad, no he conocido una relación destructiva y violenta hasta que he conocido a este par de tipos: sólo vivían para putearse. Por supuesto, ésta ha sido una de las mejores partes del libro. Ésta y la infancia y adolescencia de Truman. El libro presenta a Truman Capote como alguien que lo que más desea en el mundo es codearse con la jetset, ser aceptado entre ellos como uno más. Por esto asume el papel del bufón ingenioso que siempre está a punto de hacer reír a la gente. En el fondo, lo único que quiere es ser aceptado y querido, quizás para compensar una infancia difícil en la que sus padres primero pasaron completamente de él y luego se pelearon por él sólo para fastidiarse mutuamente. Marcado por tener una madre que era inconstante en su cariño y que se avergonzaba de que su hijo fuera homosexual, tiene tanto miedo a ser rechazado que por no serlo se dedica a cotillear y a criticar sin escrúpulos y a veces incluso a inventarse chismorreos y calumnias, lo que haga falta. After he published “In Cold Blood,” Truman Capote was the most famous writer in America, if not the world. Its novelesque telling of a true story received widespread critical acclaim, intrigued the countless readers who bought the book, and was turned into a successful Hollywood film. This was also the apex of Truman Capote’s life. He’d been successful as a writer, and he’d made friends with his “swans,” a group of incredibly wealthy and powerful women. “In Cold Blood” blew everything into the stratosphere. Capote had made it to the top of the mountain. All that was left was the incredible, ugly fall. Gerald Clarke’s “Capote: A Biography” is widely considered the definitive story of the tiny acerbic writer who captivated readers. Clarke spent well over a decade researching his biography, interviewing dozens of Capote’s friends and enemies, and becoming a friend and confidante of Truman himself. That was one thing Truman insisted on: he didn’t want to read anything Clarke wrote, nor did he want any limits on his story. It is a fascinating story, to be sure. Clarke takes us back to Capote’s dreadful childhood, where poor Truman was frequently abandoned and shuffled between relatives. We follow Truman through different schools, and into his first job, as a copyboy at The New Yorker. His first success was as a short story writer. He moved into novels. Then the novella “Breakfast at Tiffany’s” took him to another level. His work on “In Cold Blood” exacted a huge toll on Capote, who couldn’t finish his book until the two criminals he’d befriended hanged. From then on, Capote became famous essentially for being famous. He was a frequent guest on talk show couches, and he rubbed shoulders with the glitterati. Soon after, Truman Capote’s life began falling apart, and Gerald Clarke was there for the final years. Again, this is the foremost biography on Truman Capote—it’s the one the Oscar-winning film “Capote” was based. 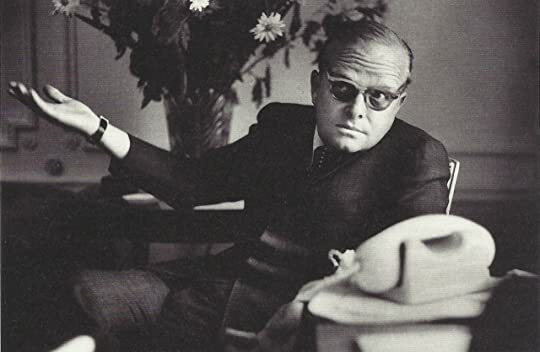 The beauty of “Capote: A Biography” is that Gerald Clarke pulled no punches with his subject. Yes, he was Truman’s friend, but he never shied away from showing the famous man at his worst. Despite the amazing amount of research and material Clarke accumulated, he manages to keep his narrative taut. It’s still a long story—the version I read was around 600 pages—but it never bogs down in any one period. Truman Capote’s life was anything but simple. He was flamboyant, hugely talented, and larger-than-life. To write a thin, cursory biography would be doing a great disservice, both to the subject and the reader. Gerald Clarke nails it, capturing a life filled with the highest highs and the deepest depths. His work casts Truman in the bright spotlight, showing his triumphs and failures alike. Truman would have it no other way. Brilliant. Here's a long, gossipy biography you can really sink your teeth into. It makes me want to reread all Capote's books. Do I dare read In Cold Blood again? It gave me nightmares years afterward. I love Truman Capote's writing style. He was an absolute literary genius who never got enough credit for his talent. I think because he was so commercial, and such a celebrity. He had beyond-movie-star status. The guy was one of the most powerful men in America for nearly a decade. Yet it was nev Brilliant. Here's a long, gossipy biography you can really sink your teeth into. It makes me want to reread all Capote's books. Do I dare read In Cold Blood again? It gave me nightmares years afterward. I love Truman Capote's writing style. He was an absolute literary genius who never got enough credit for his talent. I think because he was so commercial, and such a celebrity. He had beyond-movie-star status. The guy was one of the most powerful men in America for nearly a decade. Yet it was never enough for him, as he felt the bitterness of never winning the Pulitzer for In Cold Blood. I remember years ago seeing him on tv in the 1970's, a soft and silly man with a high voice and exaggerated mannerisms. Yet reading his prose, it was difficult to connect that outrageous caricature with the man who could write so exceedingly well, with such power and intensity. This is a surprisingly interesting and readable biography. I'm not a huge fan of Capote's skimpy literary output, but wondered how Scout's buddy Dill, a poor southern boy, became Truman Capote. After scrapping his feckless father, Truman Capote's mama married money --- lots of it --- and by the time he was 15 he was a rich little Yankee boy living in Manhattan with his folks. A born entertainer, at 19 he was tiny, beautiful, brilliant, outrageous, and the darling of fag hags Gloria Vandebilt and This is a surprisingly interesting and readable biography. I'm not a huge fan of Capote's skimpy literary output, but wondered how Scout's buddy Dill, a poor southern boy, became Truman Capote. After scrapping his feckless father, Truman Capote's mama married money --- lots of it --- and by the time he was 15 he was a rich little Yankee boy living in Manhattan with his folks. A born entertainer, at 19 he was tiny, beautiful, brilliant, outrageous, and the darling of fag hags Gloria Vandebilt and Oona O'neill; and was as well known as Tinkerbell ( the pooch in Paris Hilton's purse --- not the one with clap). A good biography is worth the 500+ pages, and the time it takes to read it. The Gerald Clarke, biography of Truman Capote was worth every page turned, in my opinion. Capote was quite the character. I wish, wholly wish, I got to hob-knob along side him for a summer. To hear him laugh, snicker about the latest gossip and attend one of his parties. I have regret for something that is wholly impossible; to live near Capote and be able to experience his life, first-hand. I could say a lot about this A good biography is worth the 500+ pages, and the time it takes to read it. The Gerald Clarke, biography of Truman Capote was worth every page turned, in my opinion. Capote was quite the character. I wish, wholly wish, I got to hob-knob along side him for a summer. To hear him laugh, snicker about the latest gossip and attend one of his parties. I have regret for something that is wholly impossible; to live near Capote and be able to experience his life, first-hand. Gerald Clarke is a journalist and biographer.